This week is the Labour Party’s conference. Conference season in the UK is a time when policy proposals are discussed and debated and the leaders in particular get their chance to enthuse their membership in the conference hall but also to enthuse the electorate enough to consider voting for their political programme. Conferences are held with the opposition first then the government which means Labour have to go first, and the other two main parties will be able to respond. That means Labour get to set the agenda. 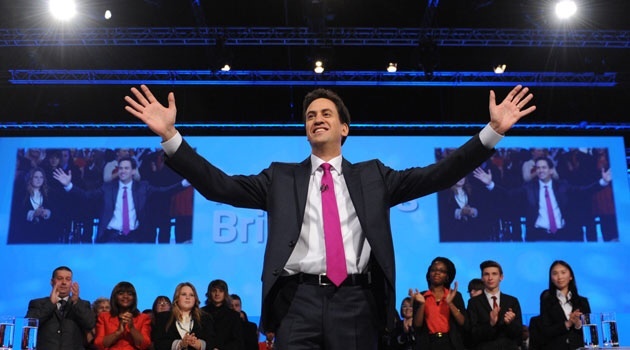 Ed Miliband will at some point need to address the devolution to Scotland issue, and how he deals with the promises that he made, which could end up with Labour losing the influence of their 40 or so Scottish MPs on English matters, which could be catastrophic for them whether they are in opposition or in government from May 2015. But Miliband’s real aim is to set out the reasons to vote for Labour this coming year. Miliband has a record of making outstanding conference speeches, and certainly of making newsworthy ones, and this one could be no different. People are discussing what will be in there, given that much of what he says will be compared with what they put in their manifesto for the election. Will he commit to rail nationalisation or stick with his idea of there always being a public sector bidder for rail franchises? What might he do about trident? Will he stay with his idea of a price freeze for the energy companies? These are all questions that touch the edges of what is important to voters. What Miliband really needs to concentrate on is what will prove to the majority that he claims to represent that Labour is really on their side. 1) Continue to raise the minimum wage up to a point where it is really a living wage that means people who work full time can actually afford to feed and clothe their families properly. This will increase the tax take, reduce benefits that are paid to people on low income, and increase consumption in this country as people on low incomes (who tend to spend a higher proportion of any extra income they get) may spend more as well as work harder since they are being paid properly. 2) Remind the public that if they want to make sure the NHS is protected as a state provided entity free at the point of use then they must vote for labour. The NHS IS a vote winner, so this will be important to convince people of, especially given the pigs’ ear some Tory policies seem to be making of it. 3) Invest a significant amount in solving our housing crisis. Build more houses and make it easier for those on lower incomes to buy them. Ultimately, if you have a political programme that addresses the public’s concerns about pay, health and housing in a clear and coherent manner, and you explain them well and convince voters that you can deliver it, then you really have a chance. Labour, remember, only need 35% of the vote to win a majority. They can count on some left wing Lib Dem voters as well as some who abstained in disgust at the thought of Gordon Brown returning as PM to raise the gem from their 2010 amount of 29%. They can also rely on UKIP to dilute Tory votes enough to hand then some other seats. But what would be better would be to go further and give ordinary people a reason to believe that Labour is the party to look out for them. It will be interesting to see if they can. « Why David Cameron might have been better off after a “Yes” vote.